An award winning salon, established in 1999 and located in Narellan Town Centre. Offering a complete range of treatments, we pride ourselves on offering our clients a personal and blissful experience. 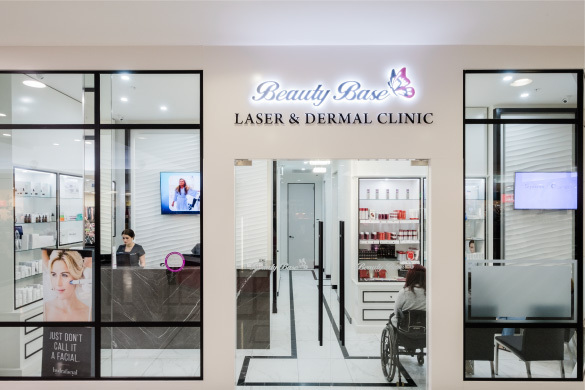 With exciting new treatments, staff, products and machinery, the Laser & Dermal Clinic offers results driven and targeted treatment to give you the results you desire. 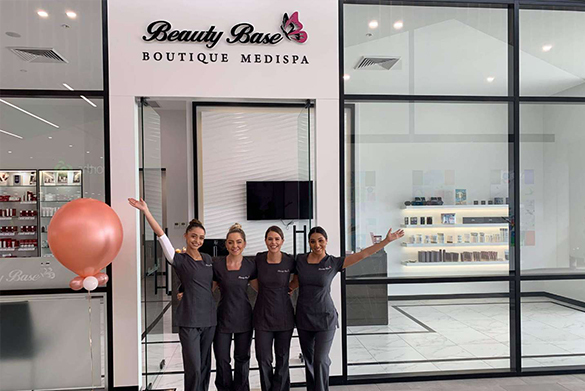 The Beauty Base is extremely excited to be expanding! 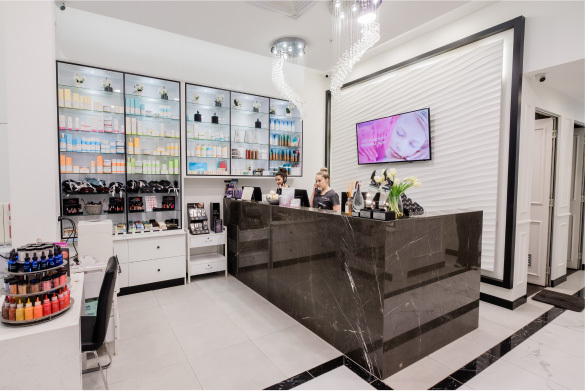 Introducing, our Boutique Medispa at Gregory Hills, offering our wonderful guests new services and treatments. ensures your experience is one of pure luxury and relaxation. Lip Lab at The Beauty Base ! In conjunction with one of our trained colour consultants you can now choose, mix and create your own shade of lipstick. 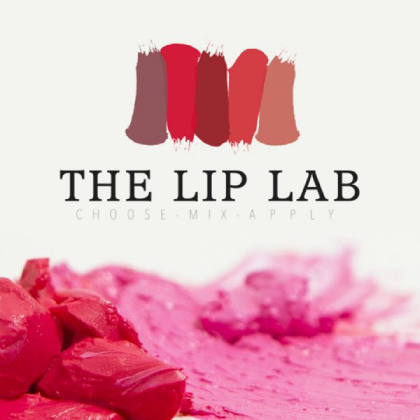 You can book The Lip Lab exclusively for small groups, events or functions. You deserve to be pampered, so why not indulge in one of our invigorating facials. Designed to replenish, hydrate and revitalise, our range of facials with leave you looking and feeling great, with health, glowing skin. We offer a range of gentle, proven, high quality Skin Treatments to improve your skin. Our range includes: Microdermabrasion, LED Treatment, Dermapen, Skin Peels, Heallite, Cosmelan and Acnelan Peels. Time to take some time out for you! Our large selection of Spa Packages are an indulgent pampering experience and perfect for bridal showers, birthdays, or simply treating yourself and a friend to a day of relaxation. Let the passionate and highly trained team take care of all of your beauty needs! Our special beauty services include: Make Up, Waxing, Lashes and Brows, Spray Tanning, Piercings, Cosmetic Tattooing and Henna Brow! The machinery used to perform our IPL, Laser and Photo Rejunvination services, has the technical innovations for faster treatments and greater satisfaction with the added bonus of being extremely comfortable! The Beauty Base is extremely fortunate to have Dr Peter Bakaric working for us, who is one of the leading Cosmetic physicians. He is regarded as Australia’s pre-eminent authority on skin care, anti-aging and wrinkle reduction. I love the beauty Base! All the girls are so great and willing to help with anything! I’ve been going for years and it’s the only place I go for my waxing, facials, massages etc! I always leave feeling amazing and with a great confidence boost! The Beauty Base Gift Vouchers are the ultimate gift of luxury, relaxation and pampering. 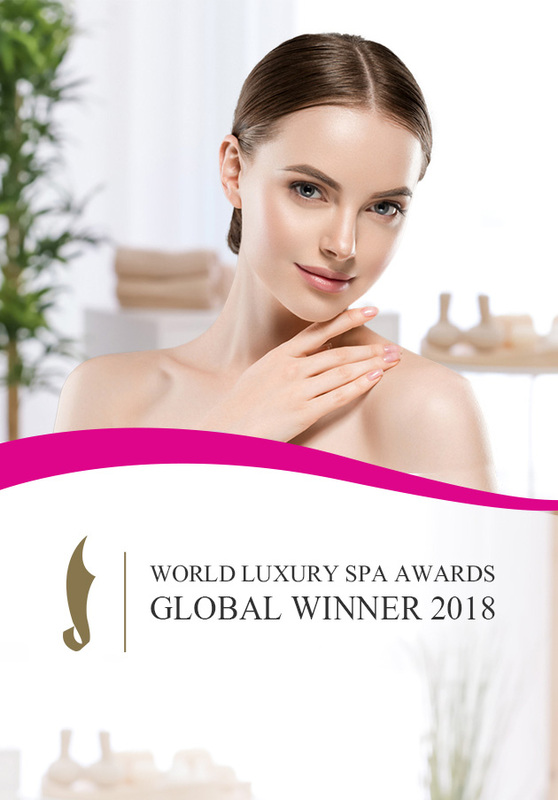 Treat someone with a Gift Voucher and allow our professional and friendly team to host them with an indulgent pampering experience that they won't forget!